The next convention of The Wodehouse Society (US) is being held in Washington D.C on the 19th-22nd of October 2017. In 2015, some of you may recall, I had great pleasure in attending my first convention, Psmith in PSeattle. These fabulous binges occur just once every two years, and in 2017 the event is being held in Washington D.C. on 19-22 October. 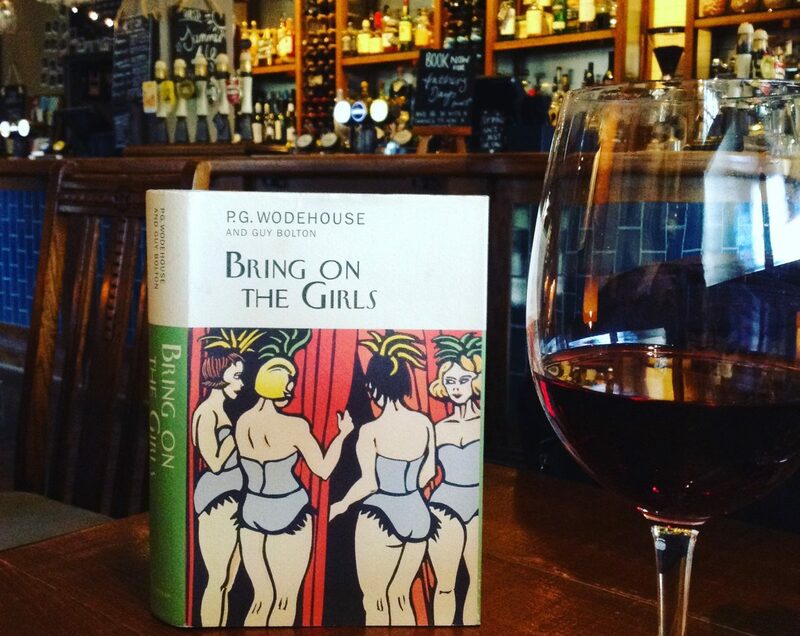 Regular convention goers enjoy these events as an opportunity to connect with old friends and make new ones through a shared love of Wodehouse. Young Tuppy had the unmistakable air of a man who has recently been round to the Jug and Bottle. A few cheery cries of welcome, presumably from some of his backgammon-playing pals who felt that blood was thicker than water , had the effect of causing the genial smile on his face to widen till it nearly met at the back. He was plainly feeling about as good as a man can feel and still remain on his feet. The 2017 convention, arranged by The Wodehouse Society’s Washington Chapter, offers an array of Wodehouse-related entertainments –from ‘serious-minded’ talks to music and theatrical performances. The keynote speaker is Pulitzer Prize winning journalist Michael Dirda and the programme will include music performed by Maria Jette & Dan Chouinard. Maria and Dan have performed at previous conventions, featuring songs with lyrics by Wodehouse, as well as songs referenced in Wodehouse’s writing. The Wodehouse Society conventions attract attendees from all over the world, and offer a welcoming haven for like-minded souls to meet and forge friendships. Without Wodehouse I am not sure that I would be a tenth of what I am today – whatever that may be. In my teenage years the writings of P.G. Wodehouse awoke me to the possibilities of language. His rhythms, tropes, tricks and mannerisms are deep within me. But more than that he taught me something about good nature. It is enough to be benign, to be gentle, to be funny, to be kind. He mocked himself sometimes because he knew that a great proportion of his readers came from prisons and hospitals. At the risk of being sententious, isn’t it true that we are all of us, for a great part of our lives, sick or imprisoned, all of us in need of this remarkable healing spirit, this balm for hurt minds? Many of us have been similarly restored and improved by reading Wodehouse –and if you are thinking of attending your first convention this year, you are assured of a warm welcome. Visit the Wodehouse Society website for more details, including a programme and registration form. And if you see me, say hello! I’ll be in the lobby of the Crown Plaza Hamilton Hotel, wearing their best armchair fashionably tight about the hips. If you approach with a pink chrysanthemum in your buttonhole and start rambling about rain in Northumberland, I shall know what to do about it. Yes, do come! In addition to the delights listed by Honoria, there is a rummage sale, with items you may wish to add to your collection. There’s a dinner where people dress up in Wodehouse era costumes and as Wodehouse characters – but don’t worry if you’re not inclined to do so – it’s Liberty Hall! And Anything Goes – just come to enjoy yourself.